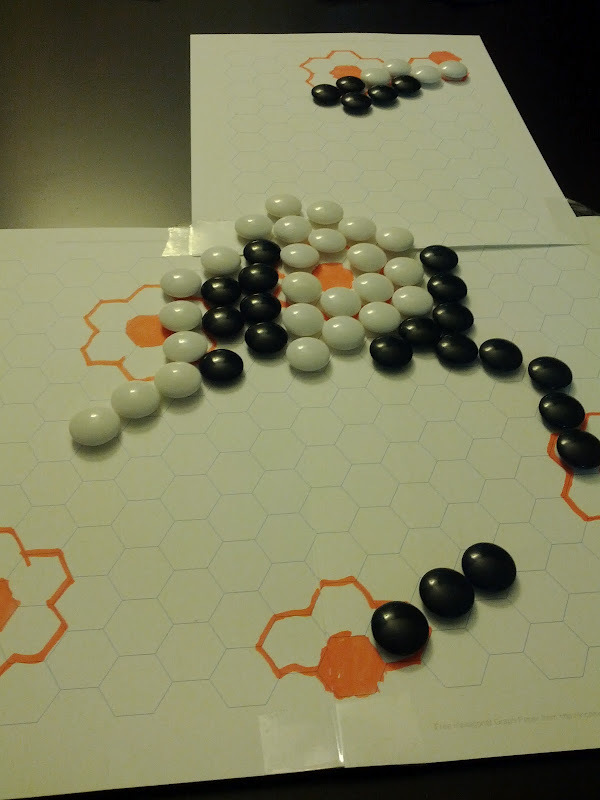 Here is a photo of my newest game design from a playtest of it last Thursday. For now I'll refer to this game as P2012-1. There definitely is a strong influence from Go in P2012-1 (as well as Hex and Othello). I can't speak to Hive, as I've never had the opportunity to play that game.